Indonesia Independence day is today, August the 17th. That made us think what games are there to play on this sacred day? Indonesia’s Independence Day is today, August the 17th. That made us think what games are there to play on this sacred day? Well, Gameprime.asia will give you a list of recommended games to play. Check them out! This game is all about Indonesia before it gained its independence. It revolves around an Indonesian hero named Prince Diponegoro. He opposed the Dutch colonial’s rules and held an important role in the Java War (1825 – 1830). In this game, you will play as Indonesian men that try to defend their towers armed with historical weapons. There are a total of 16 types of enemy and 26 levels. Are you curious? Then play the game straight away for free. Panjat Pinang is a traditional game where people gather and play during Indonesia’s Independence Day. It means climbing a wood. But not simply climbing a wood, you will be trying to take the prizes that are hanged above. You need to make your way through and grab all the prizes in this game. Battle to Merdeka is another game to play on Indonesia’s Independence Day. Merdeka itself means Independence in Indonesian language. It is a puzzle combined with a war game where the main enemy is the Dutch. Your goal is simple; find a way to occupy the enemy’s barrack and you win. There are a lot of levels to be played, so, make your move, soldier! The next game is called Kompilasi Game 17an. It is a collection of mini traditional Indonesian games. It has Panjat Pinang (Wood Climbing), Balap Karung (Sack Race), Tarik Tambang (Tug of War), and Balap Bakiak (Wooden Sandal Race). So, let’s celebrate the 17th of August with these games! The next game is Game Kemerdekaan Indonesia. It is basically the same with Kompilasi Game 17an in which it consists three types of mini games but with a different style of play. In Game Kemerdekaan Indonesia, you will be playing in landscape mode. Balap Karungs or Sack Race is a game that focuses on how you become the fastest of them all. But be careful, a lot of obstacles such as rocks will hinder your way. Go as far as you can in this endless runner game. Last but not least, Monas Rush. This is a board game themed around Indonesia’s iconic tower Monumen Nasional (National Monument) or Monas. The tower itself is being used as a wood replacement for Panjat Pinang whereas the players which are animals from Distrik Hewanisia will try to collect the ultimate prize: the gold at the top of the Monas. 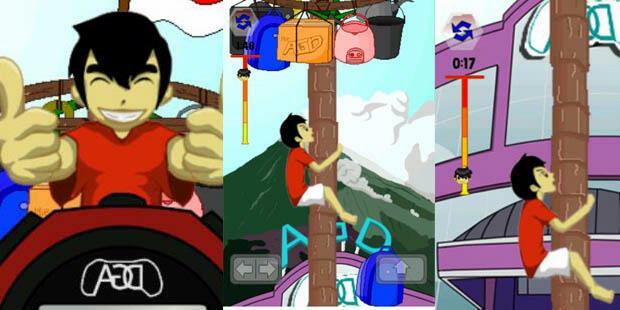 Those are our list of 7 games that you can play to celebrate Indonesia’s Independence day. Which one is your favorite?